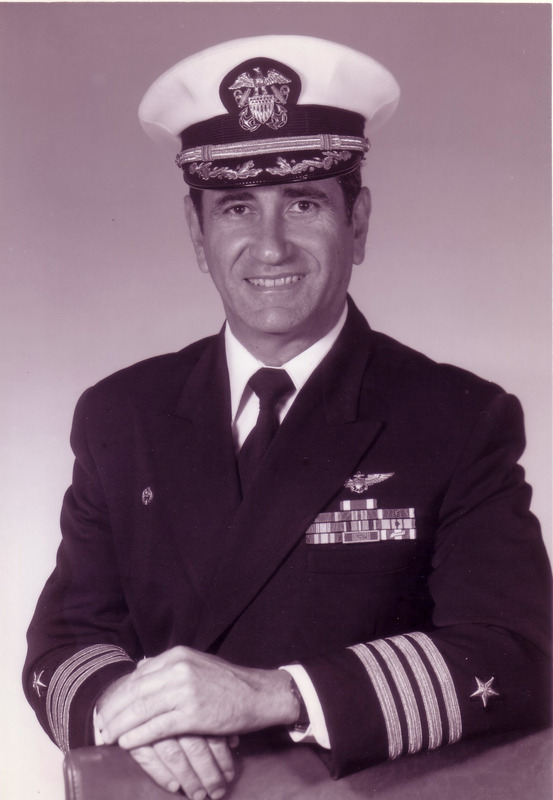 A native of Havana, Cuba, Captain Secades completed his junior year at the University of Havana Civil Engineering School before entering the Cuban Navy’s aviation program in August 1957. In April 1958, he came to NAS Pensacola, FL, to receive flight training. He earned his Wings of Gold at NAS Corpus Christi, TX, in September 1959. After completing his advanced flight training, Cadet Secades married Delia Acuña, of Corpus Christi, TX. He returned to Cuba with his new bride and served as an ensign in the Cuban Navy. He was assigned to NAS Mariel, Cuba. Due to the rise of the communist regime in Cuba, Captain Secades was discharged from service and forced to exile in the United States. In September 1960, he joined the Cuban Liberation Forces in Guatemala. For seven months he participated in anti-Castro air activities over Cuba, culminating in the Bay of Pigs invasion in April 1961. In March 1963, Captain Secades received a commission as Ensign in the U.S. Naval Reserve. After receiving training at the U.S. Army Infantry School, Fort Benning, Georgia, the Officer Candidate School, Newport, Rhode Island, and the Amphibious Operations School, Little Creek, Virginia, he served a tour as language instructor at the Defense language Institute, Washington, D.C. Subsequent to refresher flight training and helicopter pilot designation, he served as ferry pilot with VRF-31, NAS Norfolk, Virginia, followed by a tour with HC-1, NAS Imperial Beach, California, where he served as Officer in Charge of Detachment Six embarked aboard USS Kitty Hawk. He graduated with distinction from the Naval Postgraduate School, Monterey, California, with a Master of Science in Computer Science. In November 1973, Captain Secades reported to HSL-33, NAS North Island, where he served as Officer in Charge, Detachment Cubi Point and Detachment Five aboard USS O’Callaghan, Operations Officer, and Safety Officer. In March 1976, Captain Secades reported to the Navy Space Systems Activity, Los Angeles Air Force Station, CA, where he participated in the development of a classified ocean surveillance satellite system. In November 1978, he reported to HT-8, NAS Milton, Florida, as Executive Officer, assuming command in March 1980. His next assignment was as Air Officer, aboard USS New Orleans (LHP-11) home ported in San Diego. After completing the Shore Activity Command School in Alexandria, Virginia, he assumed command of the Navy Space Systems Activity in October 1983. Captain Secades retired from active duty in June 1987. Captain Secades holds the Meritorious Service Medal, Navy Unit Commendation, Meritorious Unit Commendation, Navy “E” Ribbon, National Defense Service Medal, Armed Forces Expeditionary Medal (Korea), Vietnam Service Medal, Republic of Vietnam Campaign Medal, and Republic of Vietnam Armed Forces Meritorious Citation. During his military career, he logged over 5,000 hour of flight time in 25 different aircraft types. Upon retirement from active duty, Captain Secades settled in Chula Vista, CA. He remained engaged with the naval helicopter community, serving as Historian for Rotor Review, the quarterly magazine published by the Naval Helicopter Association. For many years, his articles covering the history of rotorcraft development became welcomed features in the magazine. He also wrote a pamphlet telling the story of the development of the helicopter in the U.S. Navy. As a member of the Centennial of Naval Aviation (CONA) Celebration Committee, Captain Secades played a major role in the establishment of 16 October 1943 as the official birth date of Navy helicopter aviation, developing the historical criterion and producing the required supporting documentation. Captain Secades and his wife, Delia, reside in Carlsbad, California.